When we work in any organization, then sometime we need to travel to different locations for work perspective or work from home in some of the cases. In such cases how to connect with office network from a remote location. Is there any way to connect with office network from remote location with office feel? The answer of this questions is YES. You can connect to your office network from any remote location no matter if it’s the same Geographic location or a different one. The technology used to accomplish this goal is known as VPN. 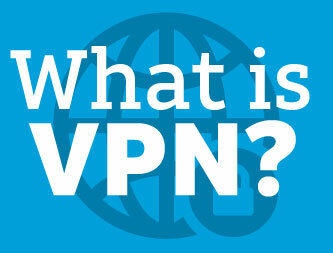 VPN stands for Virtual Private Network. Through VPN you first connect with Internet and then connect with your office network. Once we connect with the Internet then a tunnel is created to secure our connection between our system and Office Network. After the establishment of network connection it seems like we are working in the office. Before VPN leased lines such as ISDN (Integrated Services Digital Network) was used for this purpose. Every remote member of your office network can communicate in a secure and reliable way using the internet as the medium to connect to the private LAN, which is your office network. Security – It ensures to protect the travelling data on the public network. In case someone get the data by any chance then it’s in the encrypted form. Reliability – It can be approached at any time from any place. There is no impact on the connection quality if total number of users increased with the time. Scalability – With growing business its services can be extended without making any changes. After establishing connection, a tunnel is created connecting each end hence the computers at each end of the tunnel encrypt the data entering the tunnel and decrypt it at the other end. Thus VPN ensures data security and a secure way of communication.